Orlando. Everything else is commentary. That’s the city and we’re sticking to it. That is the final and, besides my Hispanic heritage journey, most monumental takeaway for me this year. After lots (and lots) of reflection, Ryan and I just don’t want to move (for me, home) to New York City. I will own that ad nauseum for the past four (God, yes, four) years, I have blogged about all of the fits and stops and starts of our figuring out–or trying to–where we want to live on this planet the day our Chicago journeys finally come to a reasonable pivot point. The day our jobs and our lives and our neighborhood and our very climate are all ready for a change. Not tomorrow by any means. But when it’s time. After Rachel Shteir shared her controversial comments in the New York Times about the way Chicago celebrates mediocrity in 2013, I agreed. (Actually, while I’ve come to love Chicago again, I actually still do agree.) That was the straw that broke the camel’s back of my born-again Chicagoness. Pretty quickly, Ryan and I settled on the idea of eventually relocating to Los Angeles. In our middle age, we want to live somewhere with no winter, a warmer climate, locals at least as friendly as Chicagoans, and monumentally easy access to fresh produce. We also want a place that has both a good public transit system (and if you think Los Angeles doesn’t have one of those, you haven’t been paying attention) and a convenient regional expressway system for Ryan (since his field usually has him out in the field half the time.) Not to mention, a place not as in the middle of day-tripping nowhere as Chicago. (Don’t get me wrong, O’Hare and Midway are awesome, and Milwaukee and Madison are both awesome and drivable–but the same two cool cities or getting on an airplane to leave the region just do go somewhere interesting entirely gets tiresome, you know?) Preferably, someplace easily accessible by car, bus, and train to other interesting places within the same region–or at least closer than that standard Midwestern intercity distance of 300 miles of corn and cows. And, dammit, I want to live within public transit striking distance of Disney. So that’s how we settled on the idea of relocating from Chicago to Los Angeles. And then a funny thing happened. My family came back into my life, and Los Angeles instantly evaporated. I never let go of the idea emotionally, but my emotions about my family and my hometown were greater. So Ryan and I changed plans from west coast to east and started planning a (potentially much more expensive) move to my home NYC borough of Queens. Which was fine, because soon after changing plans, Ryan told me he actually had been a bit terrified of the scale of Southern California. And then another funny thing happened. A year and a half after the thrill of reuniting with my family wore off, Ryan and I both independently and secretly from each other came to the realization that we really didn’t want to move to New York City, either. The idea of living near my family in my capital-of-the-world hometown was awesome–but so was my hometown’s lack of affordability compared to EVERYWHERE ELSE that had ever been on the table for us. Including moving to Los Angeles–or simply remaining in Chicago. Rent, food, transit, tolls, taxes, clothing, everything is more expensive by significant degrees back there–to the point that our moving and household budgets would both need to be about 150% tof what they would have needed to be for L.A. On top of which, our quality of life would tank, because the space and quality of amenities and stress of daily life you get while paying that titanic premium to live in New York are all just…OMGWTF so much worse. And from the time I almost moved home in 2007 to today, I still cannot wrap my mind around the sickening idea of paying an apartment broker what amounts to a legal bribe of $5,000 or more, along with first and last month’s rent and a security deposit, just to earn the “privilege” of signing a lease on a tiny apartment with no garbage disposal, en suite washer/dryer, or dishwasher, and a kitchen the size of an airplane bathroom. Not for nothing, that’s why I chose to stay in Chicago the first time. Hello? McFly?! For months I was scared to break the news to my family. I thought they’d think I was crazy to move anywhere else. Instead, although they’d prefer me to be in Queens, all of my nephews thought I’d be crazy to move back, and told me we should live where it works best for us. After all, LaGuardia and Kennedy will always be there to reunite us. So lots of sad and happy tears later, the big question remained…where the hell were we going to live after Chicago? Los Angeles was out of the picture, but all the criteria that Los Angeles fit–including affordability–remained. And I still wanted to live near Disney. I lied. The #ReallyTrulyHonestly biggest takeaway from this year was realizing I don’t necessarily need–or want–to live in a “world city” anymore. That was the key. Yes I grew up in the center of the world. Yes, Chicago thinks of itself as the center of the world too–and you might believe that if you lived here and heard how the locals talk about it. (Like I still do, sometimes.) And yes, it’s really cool to live in a place with world-class museums, world-class theater, world class shopping, etc. And yet, whether I lived in New York or Chicago, I go to those world-class art museums maybe once or twice a year. The world-class zoo once a year, if that. What money do I have for constant world-class shopping? Amazing restaurants? Honestly, They are not exactly unknown in other places. And especially these past few years that we’ve been living on the far north side of Chicago, our lives have been happily centered more around the near northern and northwestern suburbs than around downtown Chicago. And that’s been just fine–from this far out, I can be as downtown as I want or as not downtown as I want pretty quickly and conveniently, and still have access to everything my region has to offer. When I realized that’s how I had been living and appreciating my “world-city” life, I realized I could live happily in a smaller city. So on a lark I took our “eventually” city criteria and applied them to Orlando, Florida. Because, of course, I still want to live within transit striking distance of Disney–and because in the years since our moving quest began, we finally fell completely in love with the same WDW we once hated. And damned if it didn’t become quickly clear that everything we wanted out of our “eventually” city, Orlando has right now. Everything I’ve already mentioned us wanting is there. Most people never see beyond Walt Disney World and the International Drive entertainment district (Universal, anyone?) to discover the actual, midsize, progressive city on whose outskirts WDW sits. It’s one with a surprisingly vibrant and livable downtown, historic neighborhoods, and numerous cultural, gastronomic, and recreational opportunities that have nothing to do with theme parks. And all tied together by an award-winning local bus system, a regional commuter rail system set to expand in size by half in early 2018, and one of the nation’s oldest and most successful–and free!–downtown Bus Rapid Transit systems. All of which makes Orlando punch way above its weight class in terms of quality of life and being an interesting place to live. It’s just that no one who isn’t from Central Florida really knows that. Yes, Orlando also has depths-of-hell heat and humidity for half the year which might kill AC-in-the-winter-loving Ryan. But see my next blog post for how much I actually love punishingly hot, wet tropical air. More importantly, unlike Los Angeles, Queens, or any other city of its similar size except (oddly enough) for Milwaukee, Orlando is extraordinarily affordable. 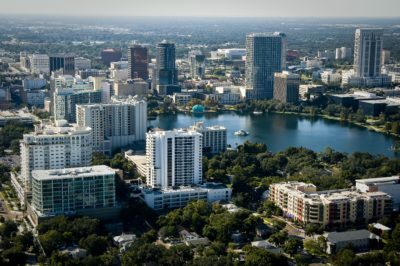 Moving there would give us the ability to affordably live in a residential tower overlooking Lake Eola in the heart of downtown, adjacent to all major public transit and key highways, and within a few years to finally purchase and own our own Downtown Orlando home. Did I mention downtown is an hour bus ride from the WDW Transportation and Ticketing Center? Or really, a half-hour Lyft to pick-any-Orlando-theme-park? Epcot? Universal? Sea World? The Fun Spot Americas which you’ve never heard of? We want Orlando for the everything else, but the fact that the region is both the Disney Parks and theme-parks-in-general capital of the world is an almost unbearably awesome perq for a Disney and theme-park junkie like me. Another amazing perq is that one of my dearest friends from my Gay and Lesbian Youth of New York days, William, lives there. And the idea of living near an old friend, and in a city already loved and vetted by an old friend, is a blessing I look forward too. Ryan and I both look forward to being able to explore Florida, its wonderful urban areas and quirky rural ones, its amazing beaches, the Saint Augustine my grandmother used to love. Finding our way through the half-liberal/half-conservative swing-state culture. Weekends at Disney resorts to get away from it all (we have that plan down already), or hour-long drives to Port Canaveral to get on a cruise ship and really get away from it all. It’s not New York. It’s not even Chicago. It’s certainly not Los Angeles. 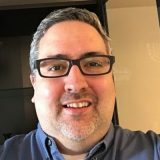 But people who sing the praises of Orlando as a really livable place that isn’t by any means defined solely by I Drive–people like the amazingly popular (and pseudonymous) Tim and Jenn Tracker–often note that most people never make it past Disney or Universal to learn how livable Orlando really is. That’s OK. I no longer need to live in a city validated by the rest of the world. I just need to live in one that works for me. Orlando will work for Ryan and me, both, very well. It won’t do that tomorrow, but it will eventually. And unlike every other place we’ve considered, this time there’s nothing but peace and a real sense of rightness with our decision. Actually, a decision we made some time ago–it’s just taken a while to decide to share it publicly. So, eventually, Orlando or bust. Can I get an earhat with that? I get it…. I totally get it. Within about six weeks, we will finally be completing our more than year long journey of transitioning from an Alpha ++ City (New York) to a Beta City (Philadelphia) and we could not be happier or more ready for the change. I will undoubtedly miss the many conveniences of living in Manhattan (having a diner on the corner being one) along with the cache of living successfully in an Alpha City. But… I will not miss the growing number of inconveniences of living in Manhattan such as constant MTA clusterf*cks, endless unnecessary horn honking, $13 for a glass of wine at a basic restaurant… Oh…. I could go on and on… Quality of life has become more important the older I get, and both the financial and emotional cost of carving out a middle class life in the city is no longer worth the amount of effort required to achieve it. I wish you and Ryan the very best in this endeavor. Admittedly, I am not sure I could survive the humidity (I am already nervous about potential sweltering summer days in Philly), but finding a place that meets your wants and desires (Disney) is priceless.